The 178-unit complex sold for $31,293,200 or $176,366 per unit, according to public record documents. Originally constructed in in 1966, the rental property consists of one-bedroom/one-bath units to four-bedroom/two-bath units, with sizes ranging being between 780 to 1621 square feet. At the time of sale the property was approximately 88% occupied. The buyers foresee opportunities to add value through upgrades and filling vacancies. 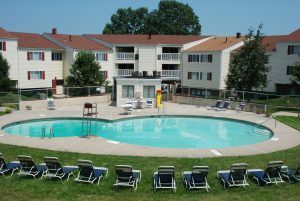 With the acquisition of Spa Cove Apartments, Cove Property Management continues to expand its portfolio of managed multifamily properties in Maryland and New Jersey. William Roohan and Martha Hastings of CBRE represented the seller in the deal.